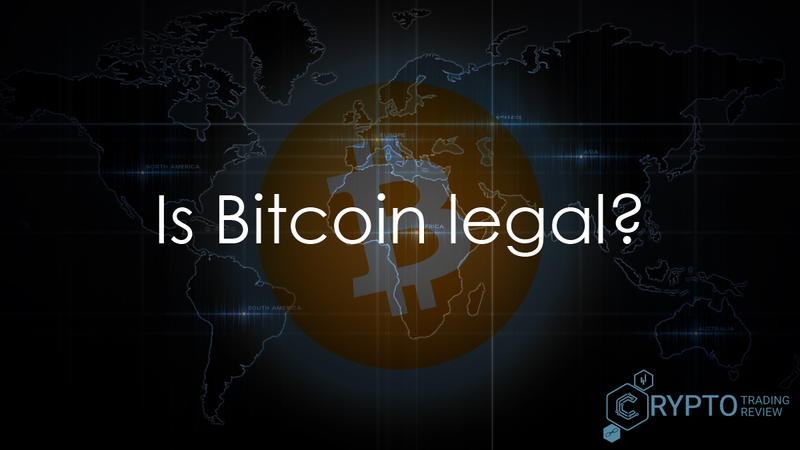 It is perfectly understandable why there would be some confusion regarding the Bitcoin legal status. The cryptocurrency market is new and there are no historical precedents for a lot of new ways we can approach transactions and payments thanks to blockchain technology. 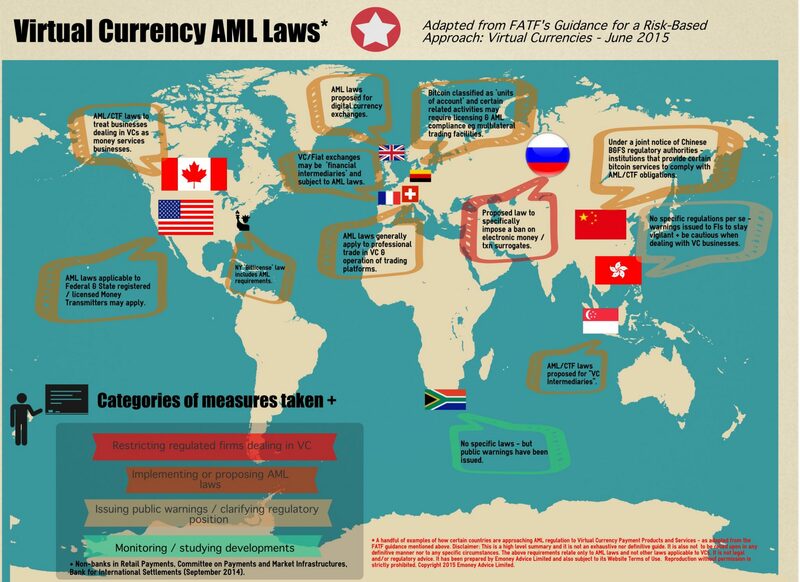 With fiat currencies, everything is simple and regulated by law. The way we handle money, as well as the things we are and aren’t allowed to do feel very natural and intuitive. However, there is nothing natural or intuitive about money at all. All forms of payment are social, cultural and political constructs that took centuries to develop. It is merely this long timeframe, as well as how deeply ingrained the current financial system is on every level, that makes it feel like this is how things are supposed to be. The development of blockchain technology and Bitcoin, the emergence of the cryptocurrency market – all of that may be just the next step in the development of currencies and financial systems. Maybe in the future, governments and central banks won’t be in charge of money at all. At the moment, however, they are still very much in charge. How is it then that you can just get yourself a cryptocurrency wallet and march headlong into the unexplored world of cryptocurrency trading? Aren’t there any Bitcoin legal issues? After all, you can’t just buy a printer and start printing your own dollar bills at home. Well, you see, this right here is the catch. You cannot create or replicate the fiat currency issued by the government. But you are allowed to use other currencies if the merchants are willing to accept them. Countries that have a budding tourist industry are a good example. There is no law against paying for goods and services in euros in countries that are not a part of the Eurozone. As long as there is no fraud and both parties agree to the terms, you’re good to go. But there’s still one Bitcoin legal issue left to consider: taxes. When there is a new market like the cryptocurrency market, it often attracts shady characters who are eager to use new or existing loopholes to store away their assets. With Bitcoin’s anonymity, privacy and decentralization, there have been even worse rumours – talk of money laundering and black money, for example. Like with everything else, the same rules apply: even if the payment system itself is legal, if you do blatantly illegal stuff, you can expect the law to go after you. The best thing that you can do is to get informed about the various Bitcoin legal issues that may arise, as well as all the ways for you to stay on the right side of the law. We’re here to help, so read on. The laws and regulations that govern the cryptocurrency market and the ensuing Bitcoin legal issues differ from country to country, just as one might expect. Most countries do not have laws against holding and using Bitcoin, however the Bitcoin legal status is very country-specific. For example, in some countries, Bitcoin is legally a currency, while in others, it is listed as a commodity, at least in the eye of the law. Some countries still do not have updated laws that directly regulate Bitcoin. Instead, they rely on financial laws that focus on their national currency and alternative means of payment. Other countries have laws that explicitly ban or restrict their citizens from purchasing or trading Bitcoin. Then there are some countries that mention Bitcoin by name in their laws and regulations and allow its unrestricted trading and use. To name a specific example, G7 or the Group of 7 consists of the seven largest and most advanced economies in the world. In these countries, namely Canada, France, Germany, Italy, Japan, the United Kingdom and the United States, Bitcoin is legal. However, the Group’s Financial Action Task Force sees Bitcoin and other digital assets on the cryptocurrency market as potential risks when it comes to money laundering and financing terrorism. Although that is largely irrelevant for the average users, companies investing a lot of money on the cryptocurrency market may come under scrutiny. In the global economy, most countries have the tendency to follow G7’s example and adjust their laws accordingly. The same is with Bitcoin, too. In fact, the only countries where Bitcoin is explicitly illegal are Algeria, Bolivia, Ecuador, Kyrgyzstan, Bangladesh and Nepal – 6 in total. When it comes to Bitcoin market share, Japan is currently number 1, having overtaken the US on September 18, 2017. Still, the United States and Canada are consistently at the top, with various European countries in tow. 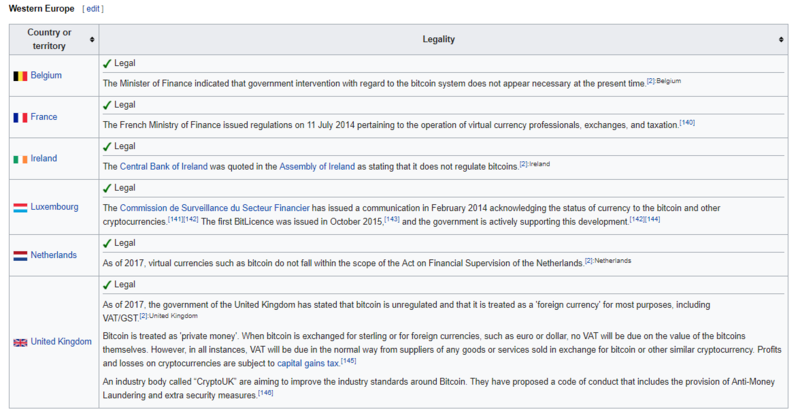 With that in mind, in the following sections we will focus on the Bitcoin legal status in each of these countries. Let’s do this alphabetically, with Canada to start things off. Canada’s Personal Property Security Act (“PPSA”) regulates most personal property and its security interests, including Bitcoin. Under the law, Bitcoin is classified as an “intangible asset”, a classification that is used to differentiate between property such as physical goods, machinery and buildings as opposed to things like trade names, trademarks, franchises, copyrights, patents and goodwill. In general, the “intangible asset” classification also contains software and digital assets, but there are no newer, more specific guidelines and regulations. Such regulations, this time a bit more up-to-date, are currently in the works. Soon cryptocurrency trading, especially “dealers in digital currency”, for example any cryptocurrency exchange, will be subject to regulation as businesses that provide financial services. Counter-terrorist laws and anti-money laundering laws will also take effect at the same time. Mexico’s FinTech Law made Bitcoin legal in 2017. Under the law, the Bitcoin legal status will be the same as any other virtual asset. In the United States, Bitcoin legal issues get a bit more complicated. Bitcoin is considered a convertible decentralized virtual currency by the U.S. Treasury. However, if you ask the CFTC (the Commodity Futures Trading Commission), Bitcoin is classified as a commodity. Lastly, the IRS sees it as property, which means that, yes, Bitcoin gets taxed. To expand, in 2014, the IRS issued Notice 2014-21, which classifies Bitcoin as a virtual currency. Because of that classification, for federal tax purposes, Bitcoin is treated as property, just like stocks and bonds. By buying Bitcoin and selling it later, users can either gain or lose assets. Trading Bitcoin on the cryptocurrency market determines its value. There is also extensive guidance concerning the Bitcoin legal status issued by The Financial Crimes Enforcement Network (FinCEN). The guidance precisely defines the term “virtual currency”, which applies to Bitcoin. Although Bitcoin is used and traded globally, none of the government agencies view Bitcoin as a foreign currency, which falls under a different classification as “the currency of another government”. With Bitcoin being truly decentralized, regulations that govern foreign currencies do not apply. The CFTC regulates Bitcoin as a commodity, even though it has nothing to do with taxation. As a “financial derivative”, Bitcoin could be seen from a legal standpoint as a futures contract. Such contracts allow users to negotiate the right to buy or sell a certain asset for a set price in the future. Today, it is possible to buy a futures contract which guarantees that Bitcoin will be traded at a previously determined price in the future. This specific case is regulated by the CFTC, which doesn’t concern itself with Bitcoin otherwise. 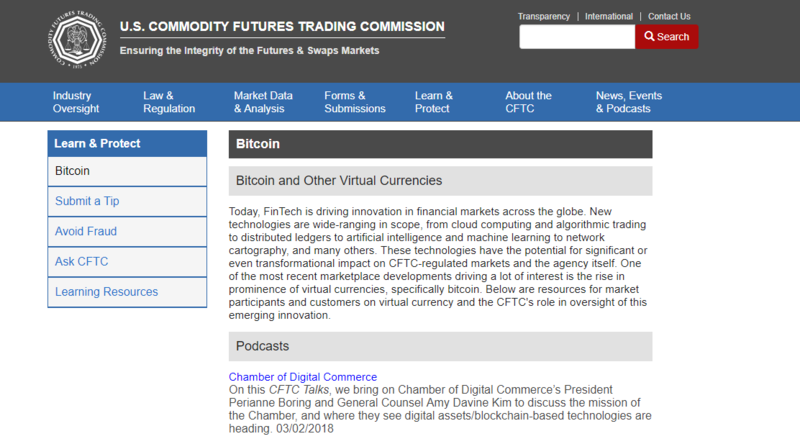 So, if you trade Bitcoin using a futures contract, it is regulated as a commodity. For tax purposes, Bitcoin is not a commodity, however, so it is not taxed twice – both as a commodity and as property. At the end of the day, Bitcoin is only marginally classified as either a currency or a commodity. The IRS is what matters, and trading Bitcoin is viewed in the same way as trading stock. Taxation depends on whether the gains from trading Bitcoin are short-term or long-term. If Bitcoin is held for less than a year, it is considered to be short-term sales. The gains are subject to ordinary income rates, which can be as high as 39.6%. If Bitcoin is held for longer than just one year, most investors will have to pay a 15% capital gains tax. For those taxpayers whose income exceeds $415,050 (top income bracket), the tax rate is 20%. If the taxpayers are married and filing their taxes together, the cut-off point is $466,950. So, all capital gains, as well as potential income/revenue must be reported on a tax return. The capital gains are calculated by subtracting the purchase price of Bitcoin from the sale price. For those who are paid in Bitcoin, either for goods or services, the amount received in payment is treated as ordinary income, just like wages paid in US dollars or any other currency. Freelance contractors getting paid in Bitcoin and other digital assets fall under the jurisdiction of the 1099 reporting rule. Form 1099 must be provided by the company doing the payment. For W-2 employees, if they receive their wages in Bitcoin, the value of those wages must be converted into US dollars and added to the wages that they have received throughout the year. All of these little particularities point to the fact that the IRS is well aware of Bitcoin and its role in the cryptocurrency market. For workers, small investors and regular taxpayers, the rules are clear and simple to follow: if you receive Bitcoin as a method of payment, report its value in dollars as income. If you use Bitcoin as property and are engaged in trading Bitcoin on a cryptocurrency exchange, report the capital gains. Things are much more complicated when Bitcoin is not used in good faith. Primarily, its use as a tool for tax evasion is of great concern to the IRS. Although all Bitcoin transactions are public and free for everyone to see on the blockchain, there are ways to avoid having your identity associated with a certain Bitcoin address. To combat this, the IRS formed a team of more than 300 agents, whose only job is to see whether taxpayers are using Bitcoin for tax evasion. As it turns out, the majority of taxpayers fail to report their Bitcoin transactions properly, indicating that the current approach may be insufficient. The IRS is now actively trying to develop techniques which will make it easier to audit taxpayers and see which taxpayers are actively trying to use virtual currencies, especially offshore, to avoid taxation in the U.S.
All the more reason to play by the rules and stay in the clear. If you’re investing in Bitcoin, it is very important to keep good records. 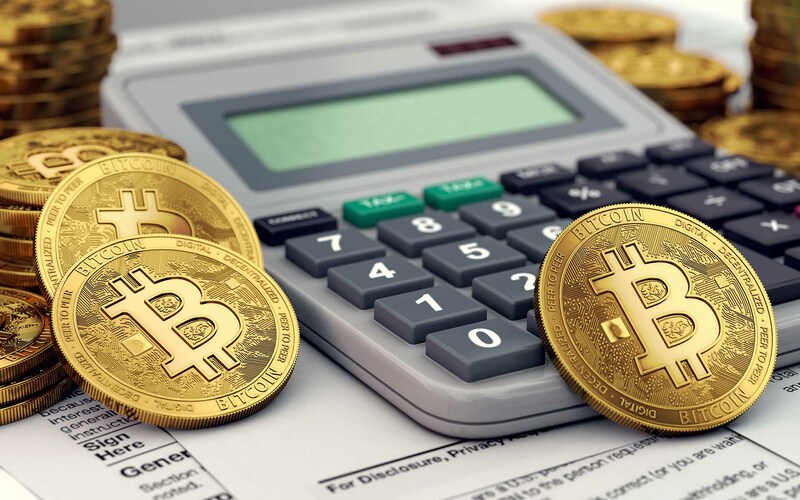 Being well-informed and knowing the laws and regulations concerning the Bitcoin legal status is the most important step if you want to avoid running afoul of the tax authorities. Apart from the regulations enforced by the IRS, the regulations that you should be most concerned with are those falling under various money transmitter laws. For example, the USA Patriot Act states that it is against the law to operate as an unlicensed money transmitter. Legally, all businesses that transmit funds between two parties are money transmitters and require a license to operate. The Bank Secrecy Act also applies to money transmitters, requiring them to register with The Financial Crimes Enforcement Network (FinCEN), report potentially suspicious transactions, keep detailed records of their customers, and implement programs to combat money laundering. These laws, however, do not apply to everyone who buys, sells or owns Bitcoin. FinCEN’s 2013 guide addresses in what way the money transmitter laws apply to different parties when it comes to Bitcoin and other cryptocurrencies. The laws do not apply to anyone classified as a “user” – a person who obtains digital currencies to buy goods or services. So, a “user” is not considered a money transmitter. “Exchangers”, on the other hand, are. An “exchanger” is a person who seeks to profit from the cryptocurrency exchange by transferring digital currency for fiat currencies, competing digital currencies and other assets. Although the guide seems somewhat damning, there is no cause for concern. It is still not clear where the line is drawn between “exchangers” and “users” and since it does rather poorly when it comes to details and intricacies of Bitcoin, it is not enforced and may eventually be scrapped for a better regulation. 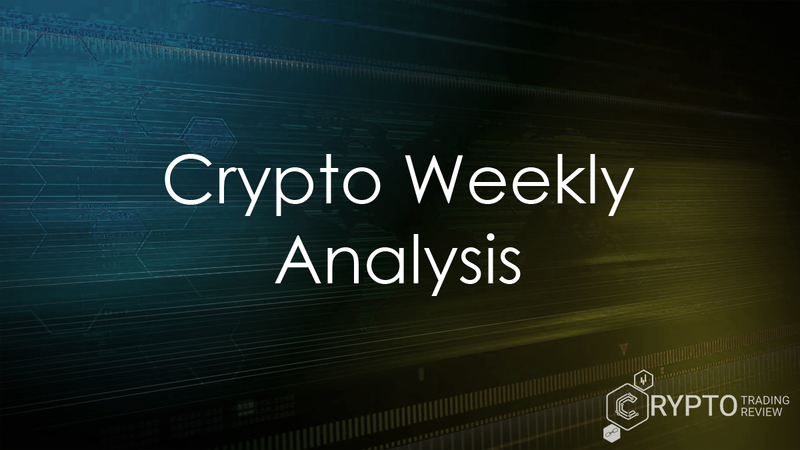 All that this shows is that there’s still a lot of work to be done by the lawmakers if they hope to catch up and truly regulate the budding cryptocurrency market. In the meantime, there are many legislative grey areas remaining. As long as you don’t wilfully break the law, you should be in the clear. Just remember, don’t hesitate to talk to a legal expert when in doubt. Although the European Union does not have any specific laws that define Bitcoin as a currency, there are currently regulations in place that make it exempt from both the Value Added Tax (VAT) and the Goods and Services Tax (GST) when exchanging Bitcoin for fiat currencies and vice-versa. The implication of this is that Bitcoin is not seen as a commodity, but as a currency. This is further emphasized by the October 2015 ruling by the Court of Justice of the European Union, which states that Bitcoin, being a virtual currency, is exempt from VAT and that it falls under the category of “currency, bank notes and coins used as legal tender”. The European Central Bank has attempted to contest such rulings on the basis that Bitcoin does not involve traditional financial institutions and as such should be exempt from traditional financial sector regulation. Under pressure from others who pushed for the current rules to be extended to include Bitcoin and related Bitcoin companies, the European Central Bank eventually classified Bitcoin as a convertible decentralized virtual currency. Just like in the U.S., in addition to concerns regarding regulation and taxation, in the EU there has also been a lot of talk about Bitcoin as a potential avenue for money laundering and terrorism. To address these concerns, the European Parliament passed a resolution in 2016, setting up a taskforce to monitor Bitcoin and other cryptocurrencies on the cryptocurrency market. In addition to that, every cryptocurrency exchange and cryptocurrency wallet is required by law to report suspicious activity, related not only to terrorism and money laundering, but also tax evasion. Although these regulations may seem off-putting to some, in the end they serve a valuable purpose of rooting out illicit activity and increasing the security, as well as the overall reputation, credibility and integrity of Bitcoin as a legitimate currency. Japan is currently at the top when it comes to Bitcoin market share, with Bitcoin ATMs being installed in most major cities. Japanese lawmakers were quick to recognize that, voting in favor of the Payment Services Act (PSA) in May of 2016, which defines not only the Bitcoin legal status, but also other virtual currencies, as a “means of payment that is not a legal currency”. The Japanese government had previously made a cabinet decision aimed at resolving the various Bitcoin legal issues. The decision, referencing the current Financial Instruments and Exchange Law, as well as the Banking Act, ruled that Bitcoin is not in fact a currency or a bond in legal terms. This decision made it illegal for banks and insurance companies to use Bitcoin. However, there are no laws in place against both individuals and corporations to receive Bitcoin in exchange for goods and services. Consequently, the Bitcoin legal status in Japan is in a grey area of sorts, where virtual currencies are regarded as means of payment and in many ways equivalent to conventional currencies, but they cannot be called currencies. Following overwhelming public interest and various local initiatives, like the one in Hirosaki, a city which began accepting Bitcoin in order to attract tourists, Japan’s government officially recognized Bitcoin as a means of payment. If this yo-yoing over the Bitcoin legal status in Japan seems confusing, just wait till you hear about India. “Is Bitcoin legal in India?” is one of the most commonly posed questions across multiple search engines in India. Why? Because it seems that the lawmakers themselves cannot quite make up their mind. The Reserve Bank of India, India’s central bank, has made no attempt to address the various Bitcoin legal issues. When pressed on the issue, the bank’s governor stated that their monetary policy “neither regulates nor supports Bitcoins”. On a similar note, on January 2, India’s Finance Minister Arun Jaitley said that cryptocurrencies are not considered legal tender under Indian law and that those who chose to go out and invest on the cryptocurrency exchange do so at their own risk. Considering that India accounts for approximately 11% of global trade on the cryptocurrency market, the question “Is Bitcoin legal in India?” is not as insignificant as it seems at first. After all, if it were to suddenly become illegal, it could affect cryptocurrency prices and trade worldwide. 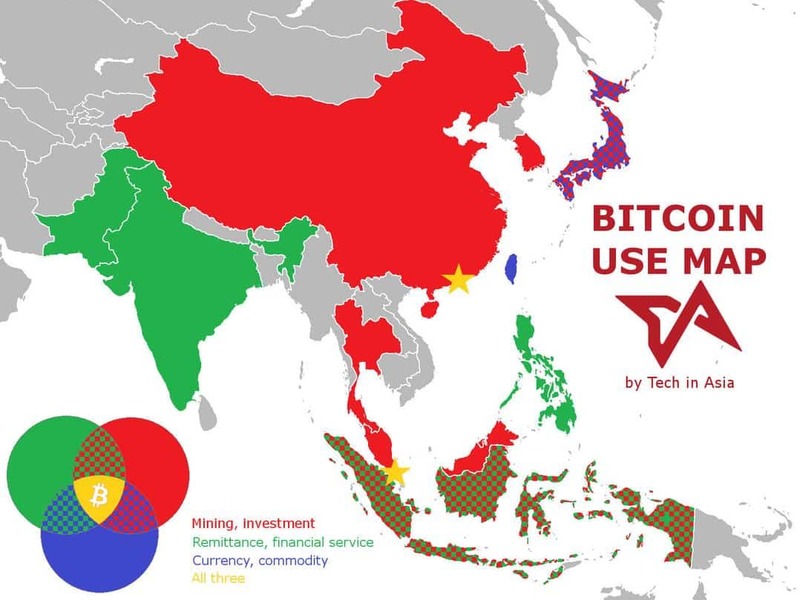 When it comes to other major Asian countries, China does not prohibit private users from holding or trading Bitcoin. 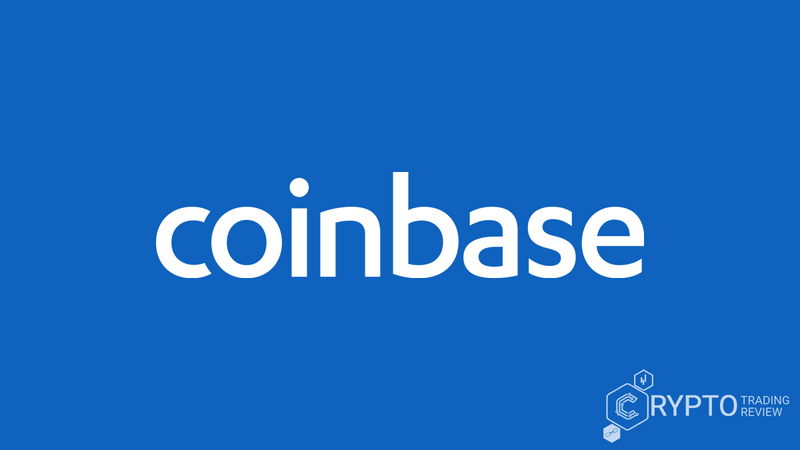 However, there are laws in place against banks and other financial institutions from entering the cryptocurrency market. Throughout 2017 there have been several instances where Bitcoin exchanges crashed or were unable to operate. In the majority of these instances, trade was obstructed by the People’s Bank of China – not through legal means, but by illicit actions, often accompanied by state propaganda flooding the media with warnings against cryptocurrencies, which are depicted as a safe haven for criminals. As a result, although Bitcoin is legal on paper in China, its cryptocurrency market is still very unstable and unreliable. Just like the Bitcoin legal status, the laws regarding Bitcoin mining depend on local laws pertaining to each country. Lets’ simplify it then: Is Bitcoin mining legal in the U.S.? Well, since the U.S. has pretty well-defined laws when it comes to cryptocurrencies (at least comparatively), these laws are also expanded to include the status of Bitcoin mining. In this case also, one thing is for sure: if it makes you money, it gets taxed. Consequently, mining has also captured the interest of the IRS. If you get paid by a business for a mining contract, you should file it under income. On the other hand, if you have a mining business yourself, the money gained from that business should be filed as revenue. It is important to remember, however, that the amount that gets taxed when you receive Bitcoin that way is equal to its value on the day when you received it. Unless you sell the Bitcoin immediately, you will be expected to pay a capital gains tax if the Bitcoin increases in value, with the additional value gained as the basis for taxation. If you own a mining business, however, any expenses are deductible, reducing the overall revenue and the eventual taxes. Slovenia, where Bitcoin mining is taxed much in the same way as in the U.S. Slovenia, however, does not tax Bitcoin capital gains, which might make some American investors just a tad bit jealous. China, which announced in early 2018 that it would pursue legal action against miners and mining. In other words, is Bitcoin mining legal in China? No. Iceland, where Bitcoin mining was exempt from its pretty stringent regulations regarding digital currency. Since 2017, however, both Bitcoin mining and transactions are legal in Iceland. Bitcoin is perhaps the biggest thing to happen to the world of finances in the last 50 years. In the 21st century, with all the advancements in technology and communications, Bitcoin was the first currency to really take advantage of all the possibilities these new technologies have to offer. It became popular, among other reasons, because it got the attention of the younger generations and of all the people who never felt the desire to invest in anything. Investing suddenly became attractive to geeks and programmers and many people who couldn’t afford it before. It didn’t feel just like a revolution, it felt like a rebellion. Rebellion against the banks, the economists, the managers, the hedge funds and, in the end, against the whole system. It is not surprising, then, that Bitcoin became pretty unpopular with the law in many countries. That’s the way it should be. Its main focus after all, is on decentralization, deregulation and privacy. Of course, there will be some people who will misuse it, but you’ve got to take the bad with the good. Luckily, many leading economies have recognized Bitcoin’s potential and are slowly introducing laws to improve the Bitcoin legal status. Even so, governments move slow, and the cryptocurrency market is dynamic and ever changing. Compared to changes in blockchain technology and spikes at the cryptocurrency exchange, laws get rewritten at a glacial pace. In the meantime, we shouldn’t allow our representatives to get away with gutting the entire cryptocurrency market under the guise of stopping money laundering and terrorism – which is happening in China right now. If you want to join the revolution and witness the history of economy and finances being rewritten before your very eyes, getting informed about various Bitcoin legal issues is only the first step. Next, you will want to sign up for a cryptocurrency wallet and grab your first Bitcoins from a cryptocurrency exchange. You can also acquire Bitcoin from a Bitcoin ATM in exchange for cash. There are currently close to 500 Bitcoin ATMs operating in the U.S. Lastly, you can always sell your products or services in exchange for Bitcoin or take up Bitcoin mining. Whatever you decide to do, though, we will be there to help you out, so check out our other articles and see what else we can teach you.